CLEAR THE RACK - extra 25% off clearance! 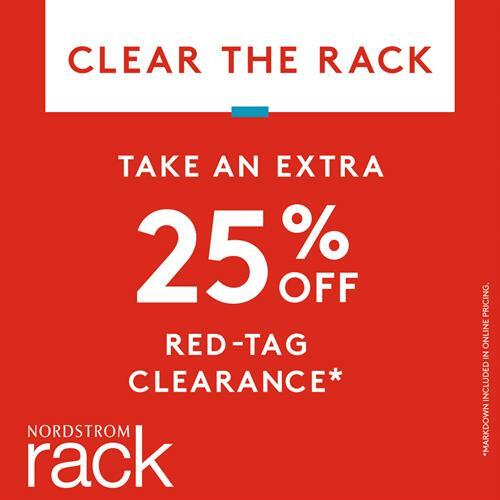 Name: CLEAR THE RACK - extra 25% off clearance! Join us for our Clear the Rack Event! Take an additional 25% off all red tag clearance items. Mark your calendars! The sale runs March 7th-10th and the treasures go fast!